In October of 2017, The Middle Cedar Watershed Authority selected Emmons &Olivier Resources, Inc. to lead a watershed-wide planning effort. The planning process will span through the spring of 2019 and include public input sessions for both urban and rural residents, technical assessment of the landscape with our project partners, hazard mitigation assessments, and will result in a comprehensive watershed plan that will be a 20 year roadmap prioritizing conservation efforts across the watershed. 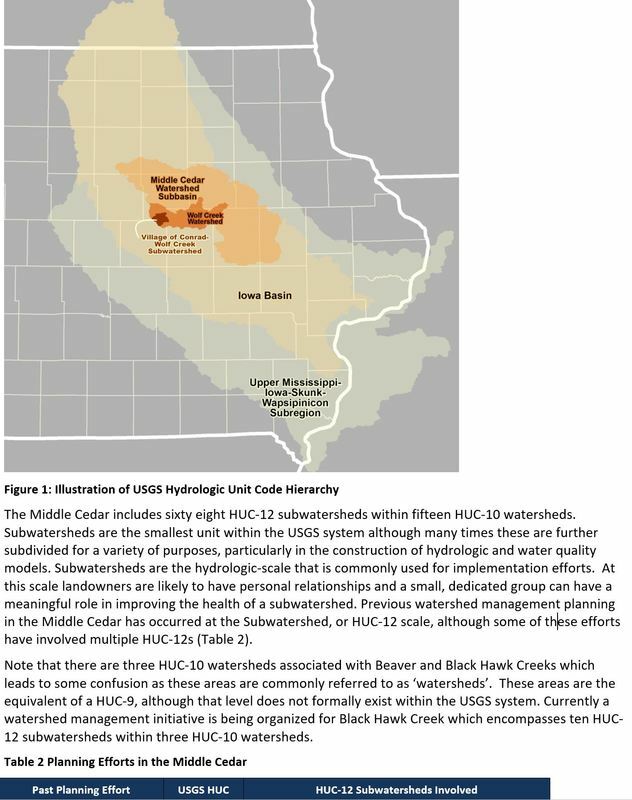 The Middle Cedar Watershed plan also includes an analysis of seven subwatersheds. 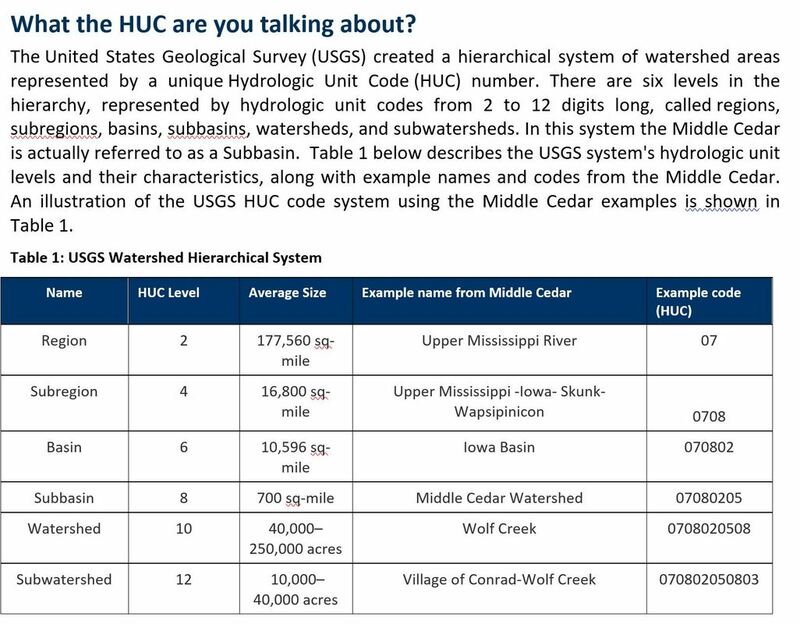 These plans provide a closer look at some of the detailed aspects of smaller watersheds and their impacts and opportunities. 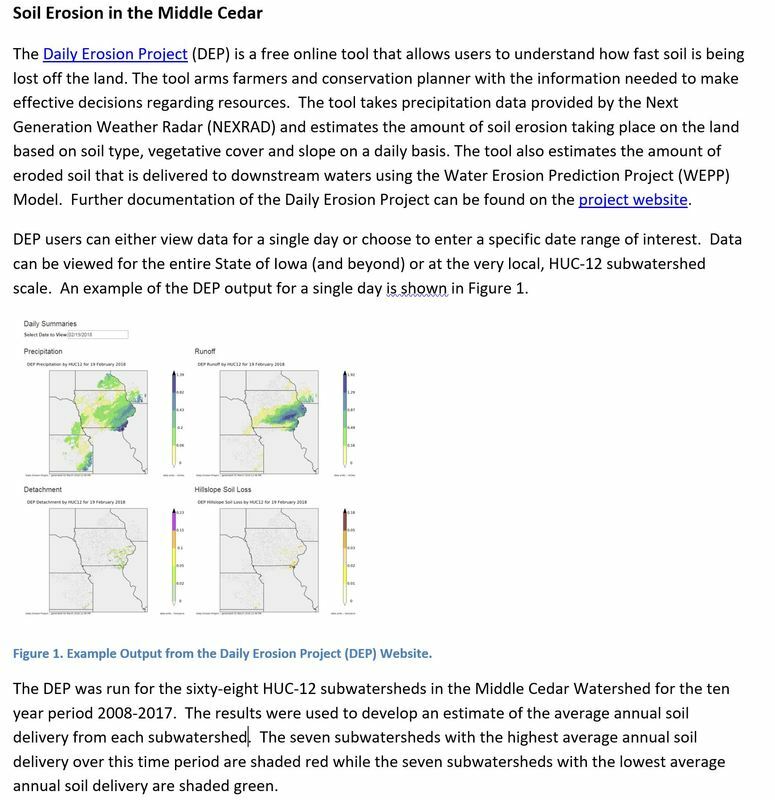 Included in this analysis is an interactive subwatershed map. 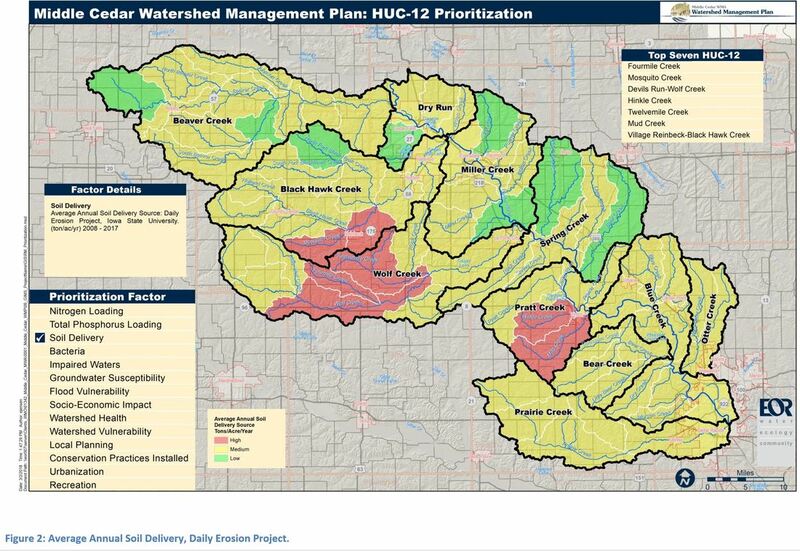 Use the map to select the subwatershed of interest. By clicking on a subwatershed it will bring up a window with a link to the subwatershed summary. Planning in the Middle Cedar is off to a great start thanks to the many local residents who have shared their thoughts. 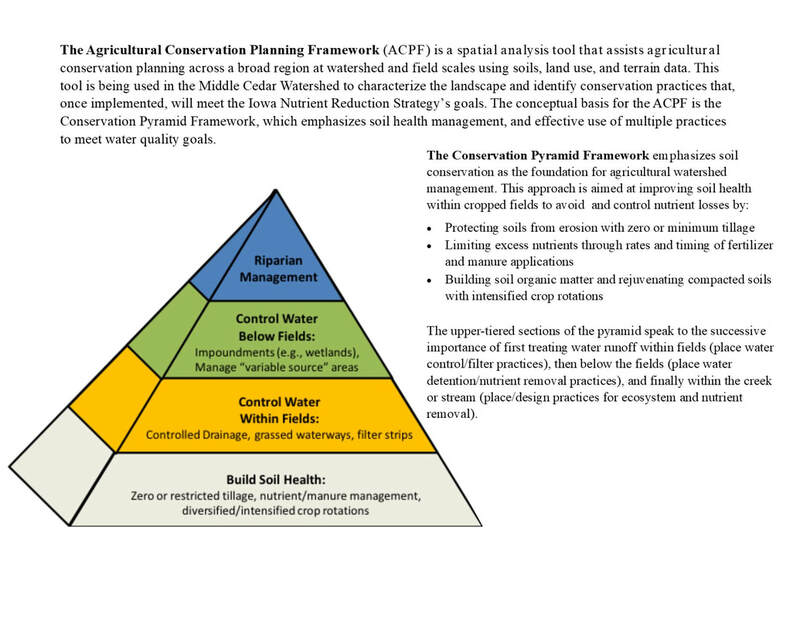 The Middle Cedar Watershed Management Authority recently embarked on a multi-year watershed planning effort for this 1.5 million acre area that stretches from southeastern Franklin County, through Waterloo/Cedar Falls and down to Cedar Rapids. The early stages of the planning process focused on garnering local insight into issues and concerns facing the watershed. This was accomplished through in-person conversations with the planning team and public open houses held in Vinton and Cedar Falls. Watershed residents shared personal stories of property damage from recent floods and their concerns about water quality. A common theme was the desire to expand recreational opportunities on the Cedar River and some of its major tributaries. While some expressed concerns about the direction of various water quality efforts across the State, many were optimistic about the future. Listen to Vanessa Fixmer-Oraiz speak about the watershed planning efforts in the Middle Cedar Watershed. As of March, 2018 we are wrapping up the Issues Identification portion of our meetings with landowners and residents, and are now moving into the Goal Setting set of meetings. We will take the issues that were identified by participants and create goals for achieving water quality and quantity improvements that align with their priorities.